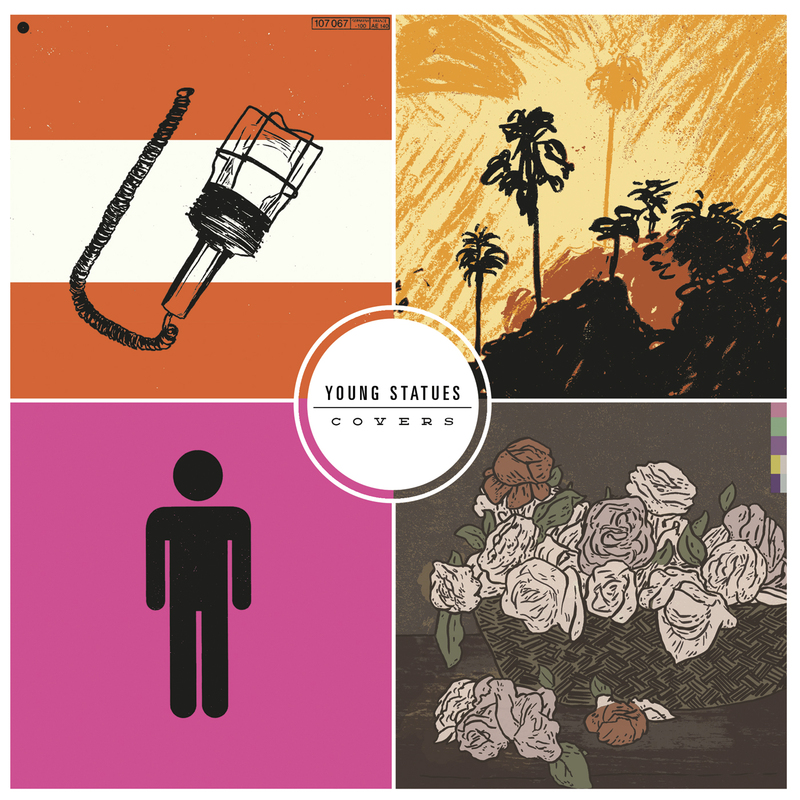 I stumbled over the band Young Statues on a jaunt through Bandcamp’s archives for music related to The Magnetic Fields, as their EP of cover songs – descriptively entitled Covers – features a version of “California Girls”. And a pretty a good version! In my opinion, better than the original. While a great little song, I find The Magnetic Fields‘ original version nearly unlistenable due to the song’s ending, where they repeat the end chorus line (“They will hear me say, as the pavement whirls / I hate California girls”) for one entire minute. While I’ll be enjoying the song up until that point, the ending always leaves me groaning. Young Statues only say the end line twice, wrapping the song neatly up at the two minute mark – not overstaying its welcome by adding an additional minute, like the original. As they say, leave your audience wanting more. Other than being nice enough to not drag on at the end like the original version, the arrangement and the performance are really lovely. Relaxed and stripped down, with some light background guitar reverb (or at least I think that’s what it is) giving a polite nod to the distorted sound of the original. The only other song on the Covers EP I’m familiar with is the cover of Billy Bragg’s “A New England”. While not a bad cover, I’m far less enthused with it. Rather than going their own way, they practically recreate the 1991 session version with Kirsty MacColl (which you can hear here), complete with getting a female guest vocalist. So I don’t feel I have a very good reason to opt for their version rather than the original session version. The other two songs on the EP are both fine, but neither really grabbed me. Perhaps if I were familiar with the originals. Anyway, my featured song is, of course, their cover of “California Girls”. As for the band itself and their original music, they seem to be riding the line between indie rock, and more standard American teenage radio rock. I love the vocals, and the melodies aren’t bad, but their arrangements can get a bit too dull and repetitive, with the blaring electric guitars and drums. They definitely have potential and some decent songs under their belt. I just hope they experiment a bit more, and perhaps start leaning more towards indie than radio in the future. This entry was posted in fidelity wars and tagged the magnetic fields, young statues. Bookmark the permalink.